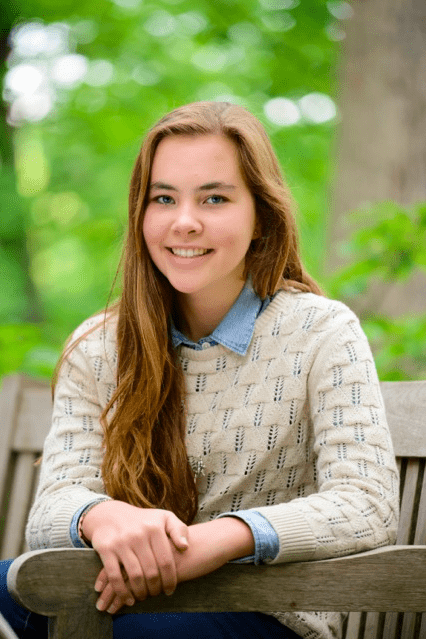 Clare Morneau is a local Toronto high school student at Havergal College who is truly wowing us with her commitment to think globally and give back. Her book, Kakuma Girls, was inspired by the pen pal letters written by Clare and her friends to the Kakuma Refugee Camp in Northwest Kenya. 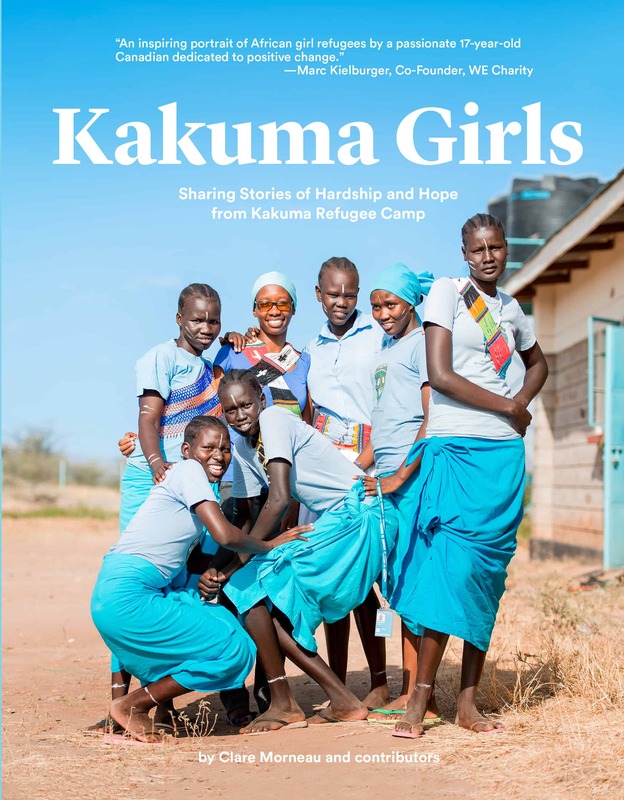 Kakuma Girls (released fall of this year, currently showcased as one of Heather’s Holiday Picks) conveys the challenges faced by young girls attempting to get an education in refugee camps. Further, it teaches us how we can mobilize youth to engage in efforts to help refugees. All proceeds from Kakuma Girls will go to funding the post-secondary education of many of the girls graduating from Kakuma next year. Now, Clare shows us how small local efforts have the potential to make a global difference. (This is a girl we can all learn from!) Below, she shares with us her personal gift guide that will encourage all Canadians to give back this holiday season. For a friend who loves beauty products, pick up a Charity Pot from Lush. This Canadian company makes amazing moisturizer that also happens to do more than make your skin soft. For every purchase, Lush donates 100% of the price (minus the taxes) to small, grassroots organizations working in the areas of environmental conservation, animal welfare and human rights. Jewelry makes a great gift, and there are lots of options out there for something shiny that looks good AND does good. One amazing option is the wide variety of rafiki bracelets on the MetoWe site. Stylish and colourful, the proceeds of these beaded bracelets can cover the cost for a student’s access to education for a year, provide access to healthcare, food or clean water. These bracelets are also made by artisans in Africa who are paid a fair wage for their work. Wins all around! Sweet treats abound during this season, so if you’re in Toronto and ordering goodies, you can double the positivity of the gesture by ordering through John’s Bakery, a celebrated artisanal bakery with a mandate to train and employ immigrants, recovering addicts, people with disabilities and more. The goodies are delicious and they can put a basket of sweets or breads together that would be the perfect gift for a neighbour or to bring to a holiday party. Alternatively, if you like the idea of feeding those in need over the holidays, a community food centre called The Stop has a great gift idea. For just a $35 donation, you can provide a healthy Food Bank hamper to a family in the community. You can donate in your own name, or in a friend’s as their gift (The Stop will even send them a beautiful card to let them know). In the spirit of the season, The Sprott Foundation will be matching all of these types of donations up until December 31st. If you’re buying for someone who loves technology, a handcrafted leather iPad case may be a perfect gift! Sseko has designed one that generates revenue to help educate and empower women in East Africa. Not only do proceeds go to that goal, but the cases are also made by hand in Ethiopia, providing fair wage jobs for local Ethiopian women, and buying the leather locally from farmers. Sseko is based in Uganda and began as a way to generate income for high potential, talented young women to go to university. Every woman who has graduated from Sseko is currently pursuing her college degree or has graduated from university. If you want to get a gift for someone who has everything, pick something from the Oxfam Unwrapped Catalogue. You can buy a chicken to help feed a family, a bicycle that can help them get to school and work, eight school books to give a child the gift of learning and knowledge, and many other amazing choices. I love this catalogue and all of its options as they’re literally gifts that can change lives. Pick up a pair of Toms. Every time you buy a pair, a pair of shoes is given to a child who needs them. It’s a great way to give something stylish and make a difference with little effort. We all have the means to make a real difference in someone’s life. Whether your efforts are global or local, they matter. Putting some thought behind the gifts you give can allow them to make an impact globally. If that’s not a great example of the holiday spirit, I don’t know what is! A passionate advocate for girls’ education and refugee issues, Clare is a seventeen-year-old author and speaker who lives in Toronto with her parents and siblings, one of whom joined the family in 2010 from northern Uganda. Clare is compassionate, driven and committed to working for real change. She founded the Kakuma Toronto Girls Education Partnership. In the summer of 2016, she completed a four-week internship at the Global Humanitarian Lab, a partner organization of the United Nations, and has been named a Global Humanitarian Lab Youth Ambassador by the organization. You can find Clare’s book Kakuma Girls on Indigo and Amazon.